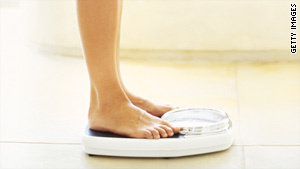 Maintaining a healthy weight is part of helping keep cholesterol levels in check, experts say. (Health.com) -- Doctors have known for years that a woman's risk of developing heart disease rises after menopause, but they weren't exactly sure why. It wasn't clear whether the increased risk is due to the hormonal changes associated with menopause, to aging itself, or to some combination of the two. Now, we have at least part of the answer: A new study shows beyond a doubt that menopause, not the natural aging process, is responsible for a sharp increase in cholesterol levels. This seems to be true of all women, regardless of ethnicity, according to the study, which will be published in next week's Journal of the American College of Cardiology. "As they approach menopause, many, many women show a very striking increase in cholesterol levels, which in turn increases risk for later heart disease," says the lead author of the study, Karen A. Matthews, Ph.D., a professor of psychiatry and epidemiology at the University of Pittsburgh. Over a 10-year period, Matthews and her colleagues followed 1,054 U.S. women as they went through menopause. Each year the researchers tested study participants for cholesterol, blood pressure, and other heart disease risk factors such as blood glucose and insulin. As they approach menopause, many, many women show a very striking increase in cholesterol levels, which in turn increases risk for later heart disease. In the two-year window surrounding their final menstrual period, the women's average LDL, or bad cholesterol, rose by about 10.5 points, or about 9 percent. The average total cholesterol level also increased substantially, by about 6.5 percent. Other risk factors, such as insulin and systolic blood pressure (the top number in a blood pressure reading), also rose during the study, but they did so at a steady rate, suggesting that the increases-- unlike those for cholesterol-- were related to aging, not menopause. Of all the risk factors measured in the study, the changes in cholesterol were the most dramatic. The jumps in cholesterol reported in the study could definitely have an impact on a woman's health, says Dr. Vera Bittner, a professor of medicine at the University of Alabama at Birmingham, who wrote an editorial accompanying Matthews's study. "The changes don't look large, but given that the typical woman lives several decades after menopause, any adverse change becomes cumulative over time," says Bittner. "If somebody had cholesterol levels at the lower ranges of normal, the small change may not make a difference. But if somebody's risk factors were already borderline in several categories, this increase may tip them over the edge and put them in a risk category where treatment may be beneficial." In a first, the study did not find any measurable differences in the impact of menopause on cholesterol across ethnic groups. Experts have been unsure how ethnicity may affect the link between menopause and cardiovascular risk, because most research to date has been conducted in Caucasian women. Matthews and her colleagues were able to explore the role of ethnicity because their research is part of the larger Study of Women's Health Across the Nation (SWAN), which includes substantial numbers of African-American, Hispanic, and Asian-American women. Health.com: Supplements for cholesterol -- what works? More research on the connection between menopause and heart disease risk is needed, according to Matthews. The current study doesn't explain how the increases in cholesterol will affect the rate of heart attacks and mortality down the road, for instance. As the SWAN study continues, Matthews says, she and her colleagues hope to identify warning signs that will show which women are most at risk for heart disease. "The important thing is, ultimately, when we can figure out the characteristics of women who have early signs of cardiovascular risk that, if we don't do anything about them, could later result in a heart attack." Women should be aware of the changes in risk factors that occur around menopause, says Bittner, and they should talk to their doctors about whether they need to have their cholesterol checked more often or whether they should begin a cholesterol-lowering treatment, such as a statin. Maintaining a healthy weight, not smoking, and getting plenty of exercise are essential to help keep cholesterol levels in check, Bittner adds, and she points out that menopause can be an especially difficult time for women to get enough physical activity. "It often falls by the wayside because women in this age range take care of kids, spouse, aging parents, and often work in addition," she says. "Midlife is a great time to make these changes," Matthews says. "If we can essentially reset the course to a more health-promoting direction in midlife, then that will have benefits for many years to come." Wolf Ulian, Ph.D., the founder and executive director of the North American Menopause Society, a nonprofit organization that provides information on menopause to consumers and health-care professionals, says the findings underscore that menopause is a good time for women to adopt healthier lifestyles. "Menopause is a milestone," he says. "It's a time to take stock and take control and try to enhance the quality of your second half of life."